A legendary Cleveland, Ohio theater is facing some tough choices as it enters its second century. Karamu House was in the midst of a 100th birthday season last week when news came of severe budget cuts, slashing both staff and programming. A study last fall indicates that minority-led arts groups across the country are having similar problems balancing the books. Director Terrence Spivey is rehearsing a scene from a new play, called The Bloodless Jungle, with actor Leon Bibb. It’s going to be a staged reading of the political drama --- no sets, no special lighting, just actors sitting on the stage reading scripts, this weekend at Karamu House Theater. “We looked at the entire organization; every department was impacted,” Sias says. “Karamu is one of the most important in the country,” says Michael Kaiser, chairman of the DeVos Institute of Arts Management, a Washington-based agency that helps arts groups remain viable in a time of aging audiences and increased competition for the entertainment dollar. This past September, a DeVos report examined issues facing arts organizations of color. “And what we found was that this sector was not growing at all, in terms of revenue. And yet, we’ve had inflation, and other arts organizations are growing, so that what happens is, if you are not growing, you’re falling behind,” Kaiser says. “And this is critical, because, in place of individual donors, organizations of color are relying on foundations and government agencies --- and those organizations are either capped or reducing how much they fund, so that arts organizations of color have a hard time growing with the economy,” Kaiser says. Karamu felt that pain in 2014, when the United Way of Greater Cleveland cut back on the number of area programs it funded amounting to a nearly $115,000 loss for Karamu. 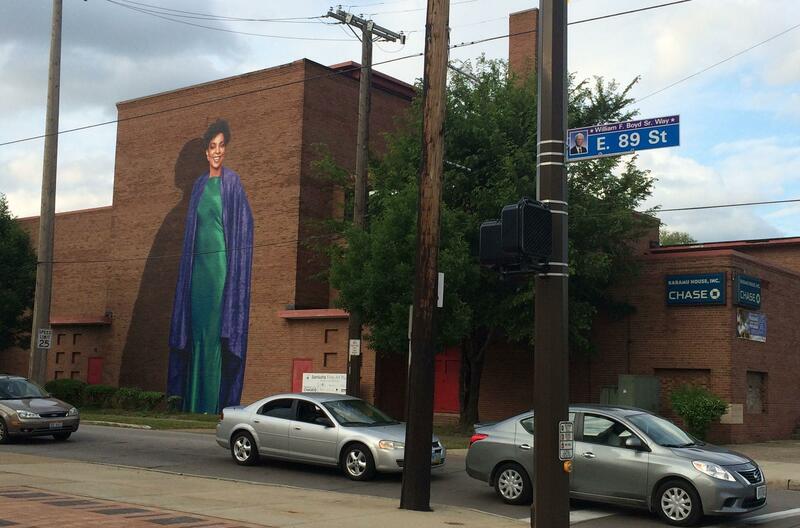 Then, Cuyahoga Arts and Culture denied the organization’s two-year operating funds request. CAC’s Karen Gahl-Mills says that was in the neighborhood of $145,000. “They didn’t make their best case in their application about where they were going with the forward direction. They didn’t put their best foot forward,” Gahl-Mills says. “I’ve got to be honest. I think the executive leadership at Karamu, over the last several decades, has been, diplomatically put, less than inspiring,” Jones says. But Jones says he’s enthused by the promise of Tony Sias, who was appointed executive director, this past fall. Jones says Sias has both the theater chops and the management skills to tackle a tough job. For his part, Sias won’t get into specifics about the budget problems that led to last week’s cuts. And he’s not looking back. “It was important for us to come up with a lean team to take Karamu and our work to 2.0,” Sias says. Sias says “2.0” means adding newer and younger faces to the audience, perhaps through concerts and poetry readings. A new strategic plan for this tenacious Northeast Ohio institution is due to go to Karamu’s board of directors, next month.